I have only just started poking at the world of tutorials and colouring videos, so I’ve only done two so far which you can find below. They are listed so the most recent is the one closest to the top. 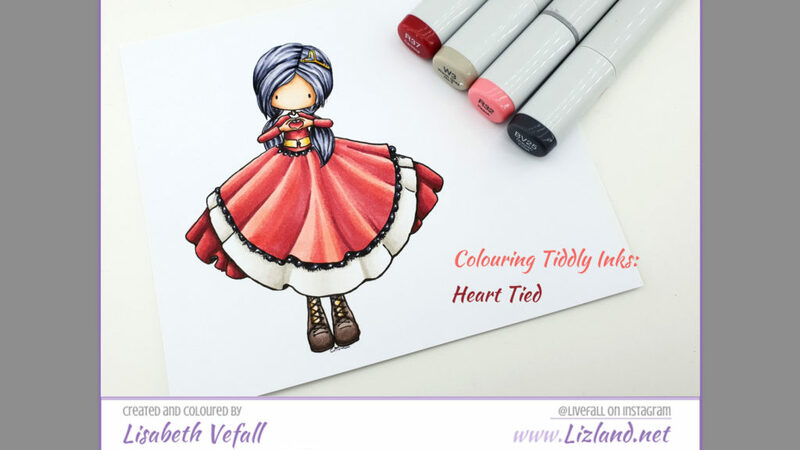 This video shows how I’ve coloured up this entire image by Tiddly Inks called Heart Tied. It focuses on folds and colouring with red markers. The audio is in English. 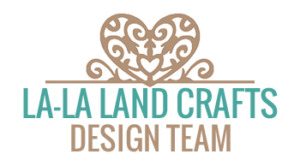 This video covers how to colour up this entire image, Marci with Snowman, by La-La Land Crafts in no-lines. I go through each bit and there aren’t that many fiddly bits to colour as the rubber stamp isn’t that small. The audio is in English. 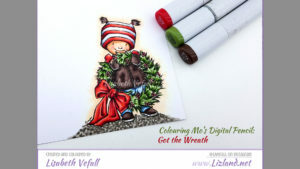 This video covers how to colour up this entire image by Mo’s Digital Pencil called Got the Wreath. There are loads of detailed areas to colour up, which is great practice for controlling your markers. The audio is in English. 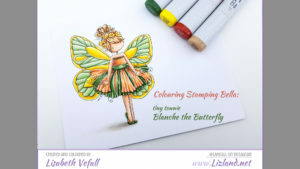 This video is covering how to colour up this entire image by Stamping Bella called Blanche the Butterfly. It has lots of smaller areas that can be a bit fiddly to colour. The audio is in English. 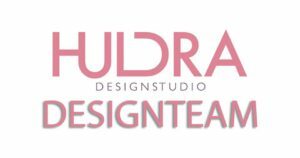 This video is covering how to colour up these small monkeys by Huldra Designstudio. 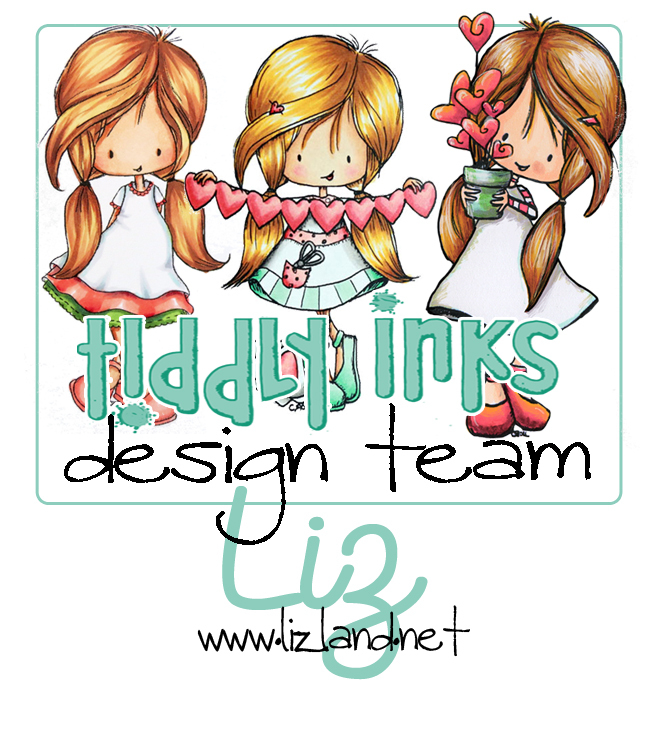 The technique can be used on colouring any smaller animal stamps. The audio is in Norwegian. 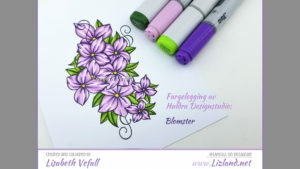 This video is covering how to colour up this entire stamp by Huldra Designstudio called Blomster. The audio is in Norwegian. 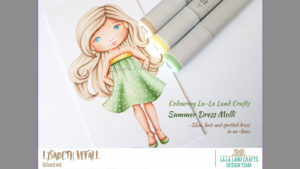 This video is covering how to colour up this entire image by La-La Land Crafts called Summer Dress Molli. You can see how I colour up her skin (and facial features), the blonde hair and the spotted dress, all in no-lines. The audio is in English. 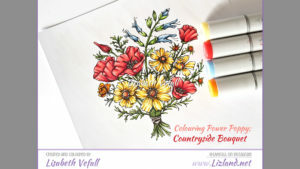 This video is covering how to colour up this entire image by Power Poppy called Countryside Bouquet. So basically how to colour up various types of flowers. The audio is in English. This video is covering how to colour up a sparkly dress. The video also covers the shoes and flowers, all no-line technique. 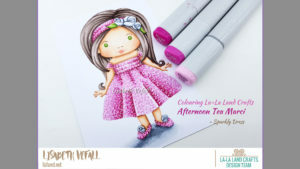 I’ve used an image by La-La Land Crafts called Afternoon Tea Marci. The audio is in English. 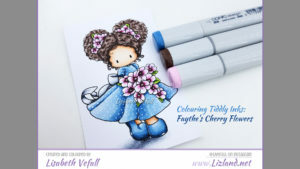 The video is covering colouring up this entire image from Tiddly Inks called Faythe’s Cherry Flowers. So skin, hair, dress/outfit and flowers. The audio is in English.